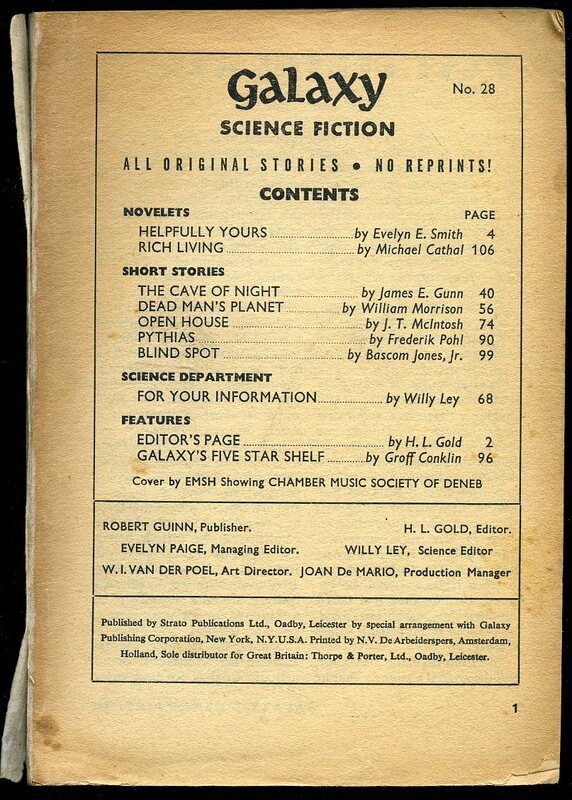 Galaxy Science Fiction Volume 3 No. 1 1952. Published by Galaxy Publishing Corporation, 421 Hudson Street, New York 1952. 1952. 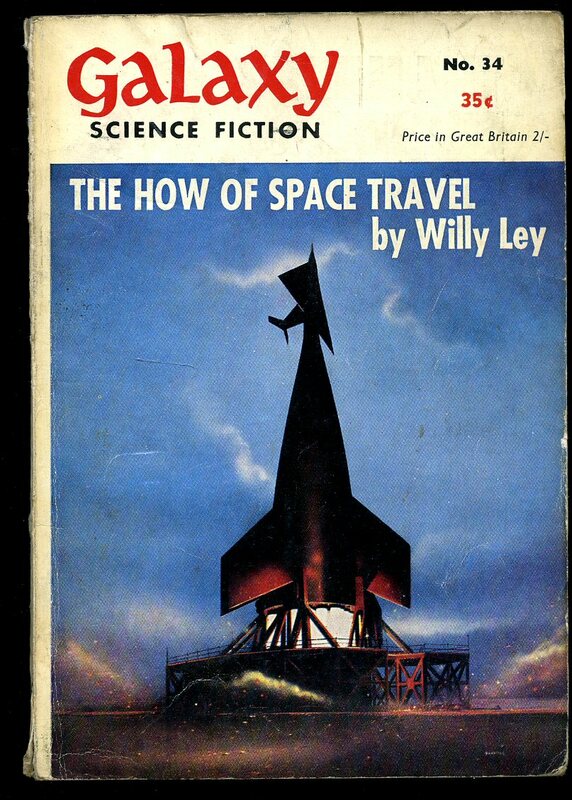 Publisher's original colour illustrated period science fiction super art work paper covers. 8vo. 7½'' x 5''. Monochrome illustrations throughout. Slight tanning to the page margins, a little rubbing of the paper to the spine tips and in Very Good condition. We currently hold 125 other Galaxy Science Fiction Magazine titles in stock. Member of the P.B.F.A. Published by Atlas Publishing Co. Ltd., London by Arrangement with Street & Smith Inc., New York February 1958. 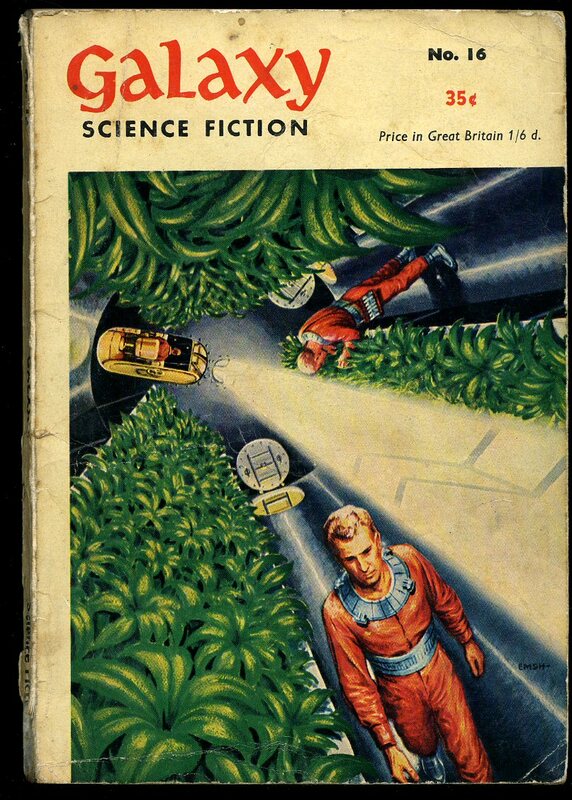 Publisher's original colour illustrated period science fiction super art work paper covers. 8vo. 8½'' x 5½''. Monochrome illustrations throughout. Slight tanning to the page margins, small rubs to the spine tips and in Very Good clean condition. 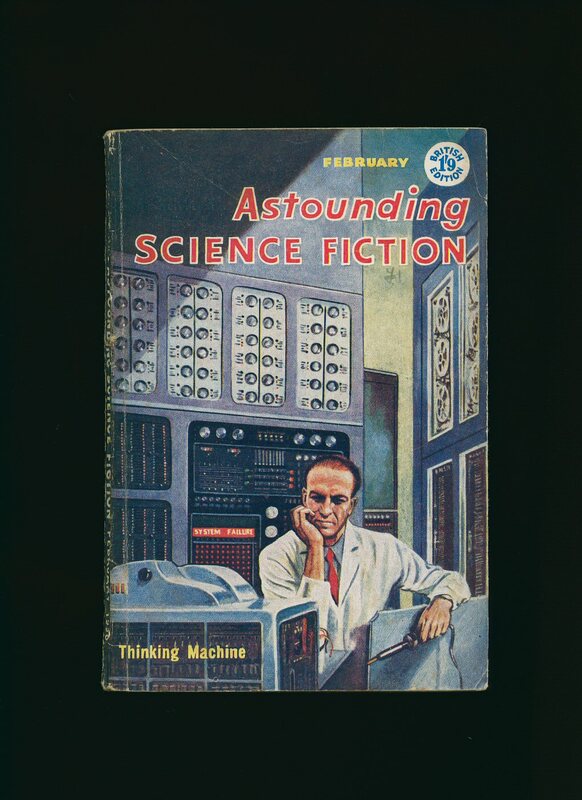 We currently hold 70 other Astounding Science Fiction Magazine titles in stock. Member of the P.B.F.A. 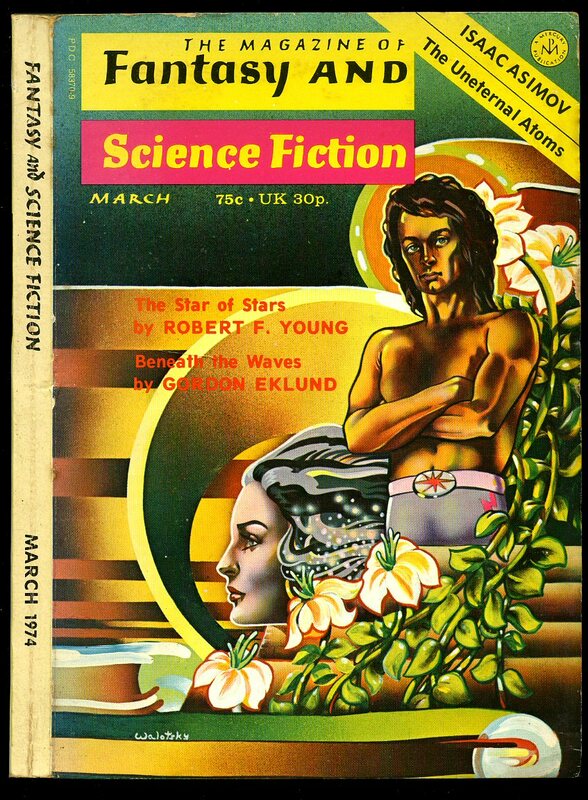 Future Science Fiction Magazine Issue No. 11 1958. Published by Strato Publications Ltd., 39 Upper Brook Street, London 1958. 1958. Publisher's original colour illustrated period science fiction super art work paper covers. 8vo. 7½'' x 5½''. Tanning to the page margins, small rubs to the spine tips and in Very Good condition, priced 2/- to the front cover. 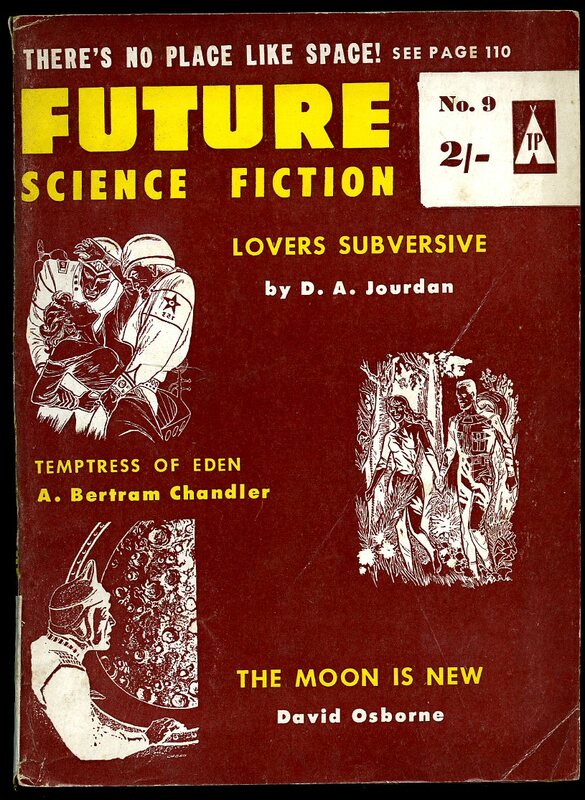 We currently hold 9 other Future Science Fiction Story Magazine titles in stock. Member of the P.B.F.A. 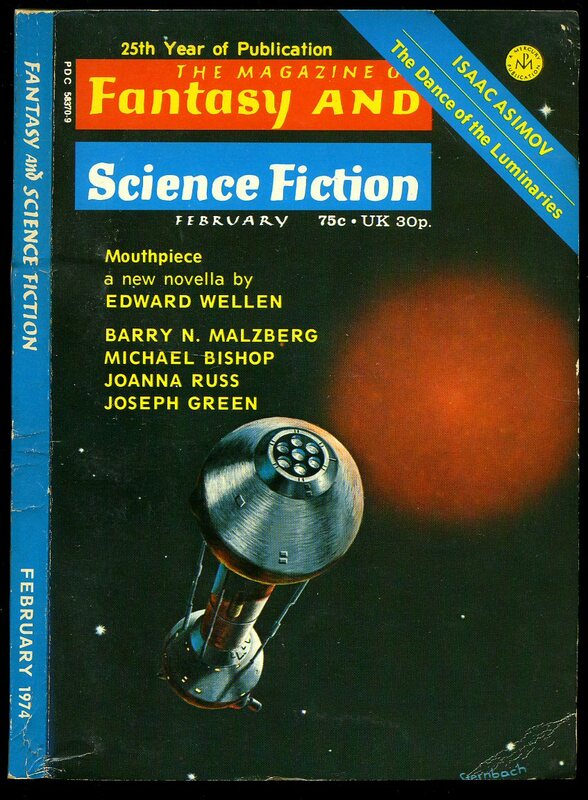 The Magazine of Fantasy and Science Fiction Volume 47 No. 1 July 1974. Published by Mercury Press Inc., New York July 1974. 1974. 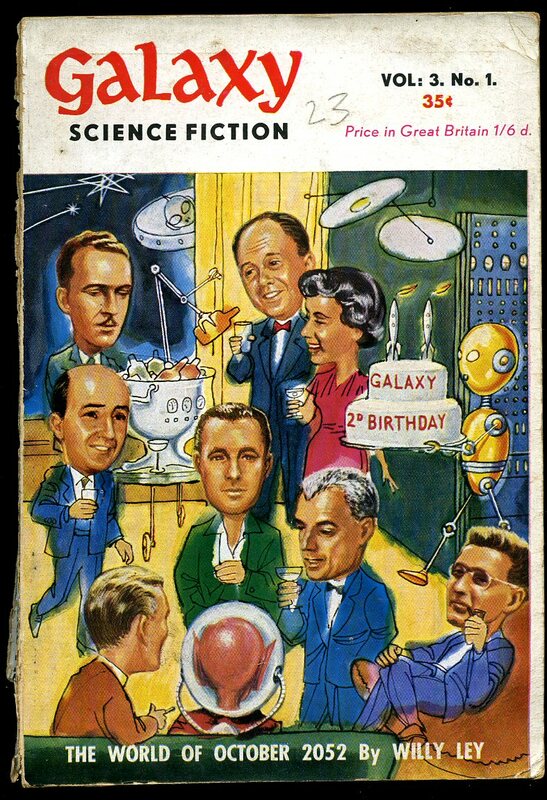 Publisher's original super period colour illustrated Science Fiction card wrap covers. 8vo. 7½'' x 5½''. Slight tanning to the page margins, tiny rubs to the tips and in Very Good clean and sound condition. We currently hold 175 other Fantasy Science Fiction Magazine titles in stock. Member of the P.B.F.A. Published by Strato Publications Ltd., Oadby, Leicester by Arrangement With Galaxy Publishing Corporation, 421 Hudson Street, New York. 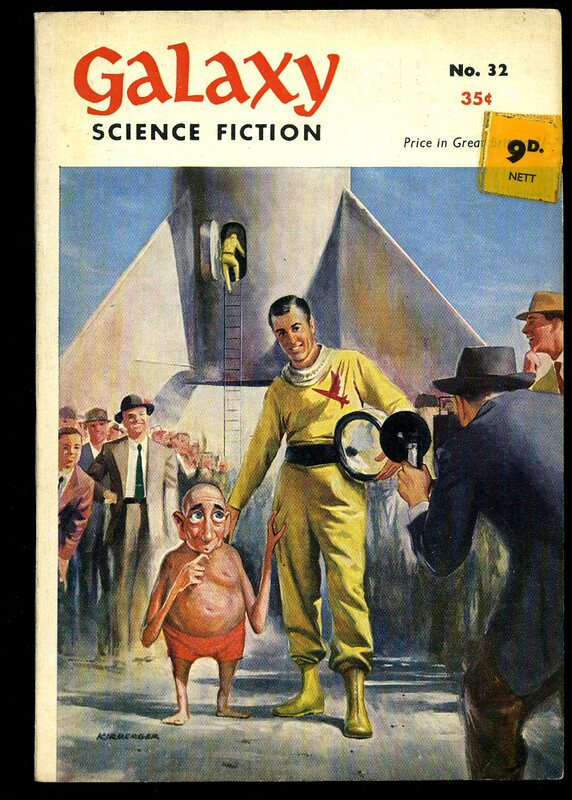 Future Science Fiction Magazine Issue No. 9 1958. 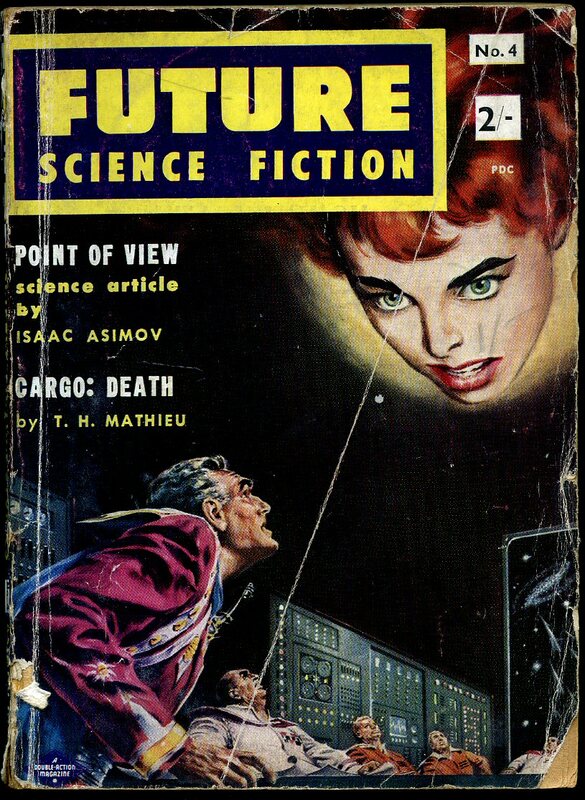 Future Science Fiction Magazine Issue No. 4 1958. Publisher's original colour illustrated period science fiction super art work paper covers. 8vo. 7½'' x 5½''. Tanning to the page margins, crease line to the front cover, small rubs to the spine tips and in Very Good condition, priced 2/- to the front cover. We currently hold 9 other Future Science Fiction Story Magazine titles in stock. Member of the P.B.F.A. 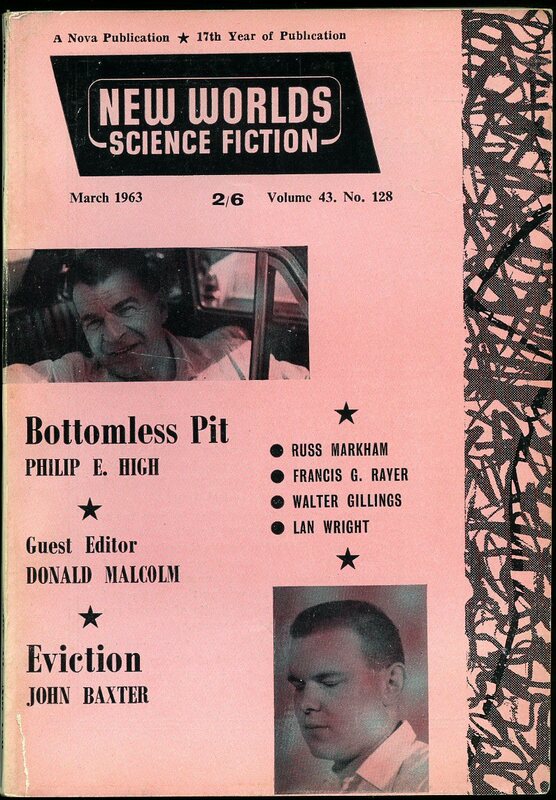 The Magazine of Fantasy and Science Fiction Volume 46 No. 2 February 1974. Published by Mercury Press Inc., New York February 1974. 1974. 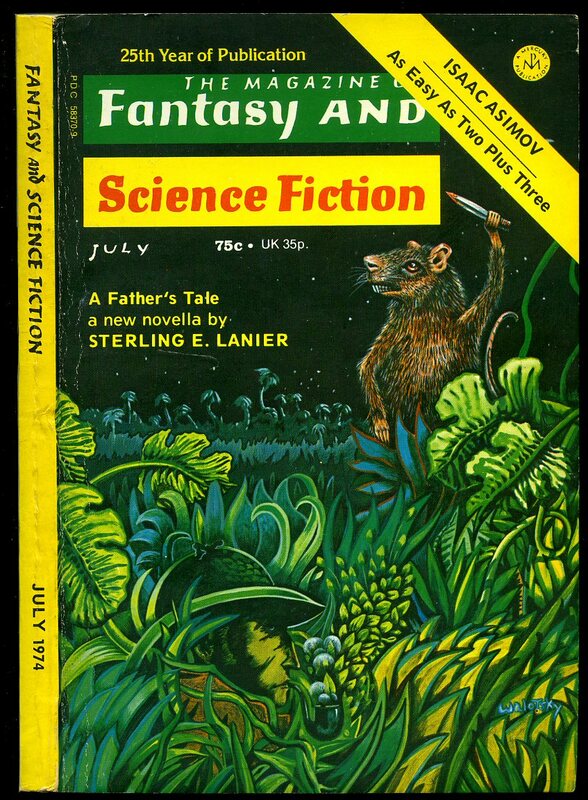 The Magazine of Fantasy and Science Fiction Volume 46 No. 3 March 1974. Published by Mercury Press Inc., New York March 1974. 1974. 8vo. 7½'' x 5''. Monochrome illustrations throughout. Slight tanning to the page margins, sadly the front cover is missing. We currently hold 125 other Galaxy Science Fiction Magazine titles in stock. Member of the P.B.F.A. 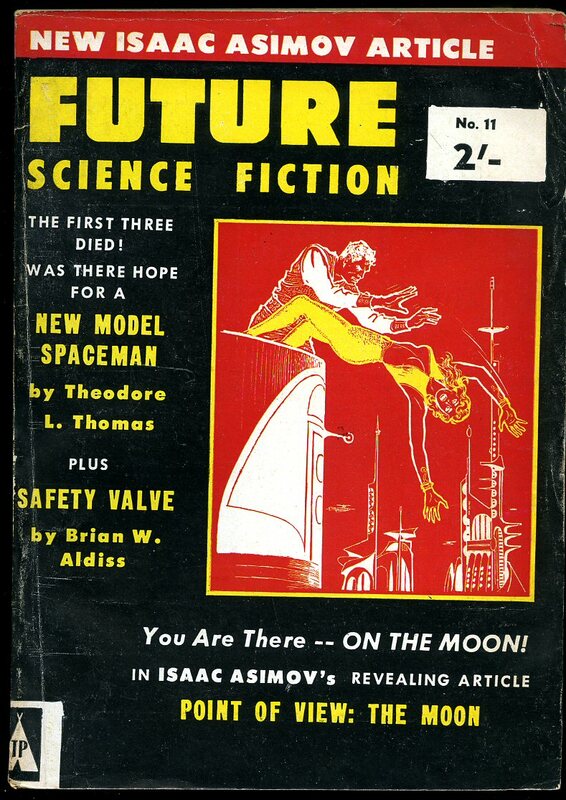 New Worlds Science Fiction Volume 43 No. 127 February 1963. Published by Nova Publishing Ltd., 131 Great Suffolk Street, London February 1963. 1963. Publisher's original colour card wrap covers. 8vo. 7½'' x 5½''. Slight tanning to the page margins, only very tiny rubbing of the paper to the spine tips and in Very Good clean condition. We currently hold 125 other New Worlds Science Fiction Magazine titles in stock. Member of the P.B.F.A. 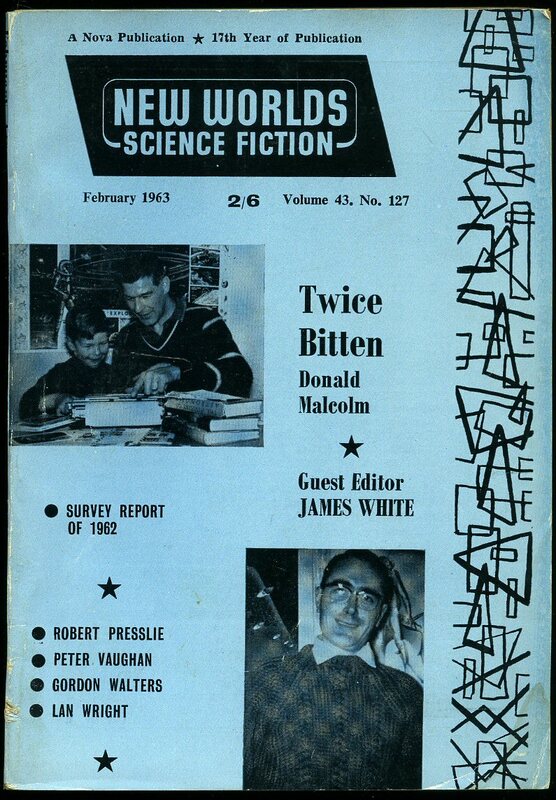 New Worlds Science Fiction Volume 43 No. 128 March 1963. Published by Nova Publishing Ltd., 131 Great Suffolk Street, London March 1963. 1963. 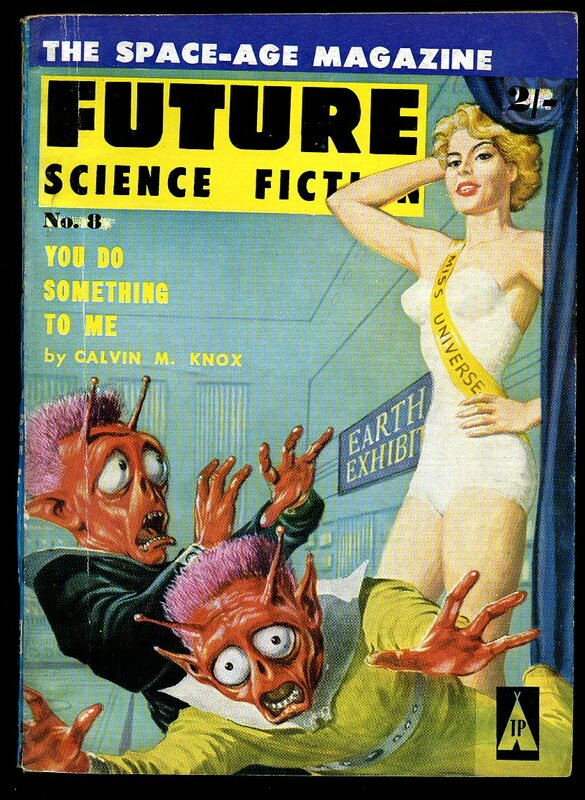 Future Science Fiction Magazine Issue No. 8 1958.